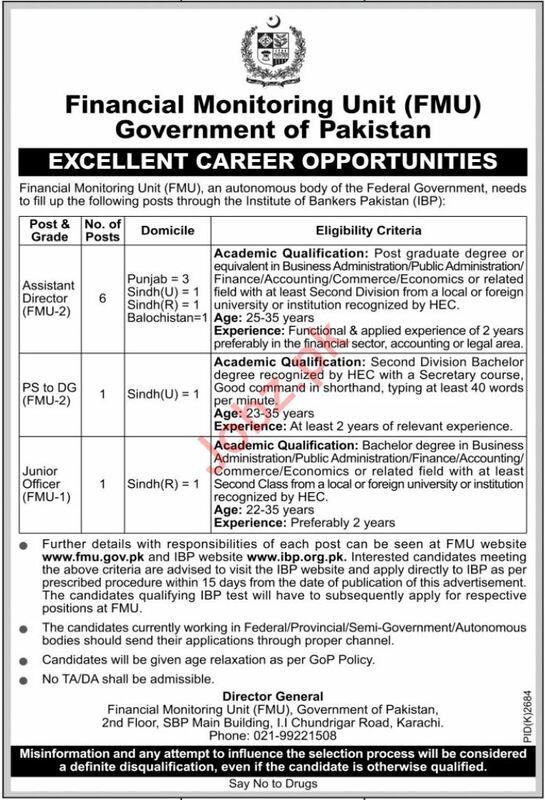 Financial Monitoring Unit FMU Government of Pakistan needs highly qualified and well educated individuals for the positions of Assistant Director, Personal Secretary & Junior Officer in Karachi. You can apply online at vacancy after registering at http://www.jobz.pk site. Company Address: Director General Financial Monitoring Unit FMU Government of Pakistan 2nd Floor SBP Main Building I.